Can you imagine trying to navigate today’s world without a vehicle? Unless you live in a highly dense urban area, having a car is necessary to accomplish the simplest tasks like going to the grocery store, travelling to weddings or other personal happenings, and most important, having access to economic opportunities. Unfortunately, some people do not have access to auto loans because of their poor credit or tough circumstances, which can make owning an automobile seem out of reach. Fortunately, BHPH dealers and subprime auto loans can be incredibly useful for these consumers, helping them gain access to reasonable auto loans and vehicles that can open up a number of professional and personal opportunities. In this blog, Skypatrol will outline how BHPH businesses help consumers, and how increased efficiency and security can make your BHPH business stand out in the competitive BHPH landscape. Subprime auto loans are specifically designed to be accessible to those with poor or damaged credit, or for people who are dealing with financial setbacks like unemployment, medical emergencies, or divorce. These loans allow consumers to find a reasonable auto loans even in poor circumstances. While interest rates may be higher for a subprime loan than a standard loan, approval is much easier with a subprime loan, meaning less obstacles in your way to getting back on the road. It can be incredibly difficult for consumers to improve their credit scores, especially if they’ve experienced a great deal of credit damage in the past. But with subprime auto loans, consumers get a chance to take on an auto loan and make on-time payments, which can help them improve their credit scores. These loans also help consumers pay off other outstanding debts, which leads to accelerated credit score improvements. In the nation built around car companies, roadways, and interstate commerce, your economic success can depend on your ability to travel or commute. But without a vehicle, many job opportunities that consumers are otherwise qualified for would be virtually impossible to obtain. Subprime loans allow consumers an easier route to purchasing a vehicle, which can give them access to more lucrative job opportunities, and ultimately, help them increase their income and decrease the debts that negatively impact their credit scores. How can your BHPH business help more people? 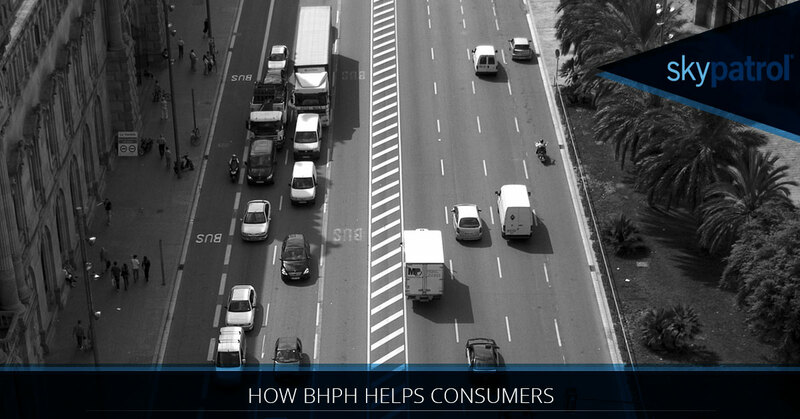 To help more people find the vehicles they need, your BHPH business needs to be efficient, organized, and most of all, stable. That’s where Skypatrol can help. By using our Defender BHPH and vehicle financing system, you’ll be able to organize customer information, gain quick access to insurance companies and policies, create custom buyer reports, and increase your number of late and delinquent payments—all within a single, Verizon-powered software platform. Plus, our patented repo tools will help you track down vehicles quickly and easily to avoid costly vehicle losses. Defender is built to help you avoid problematic losses, promote simple business organization, and increase your business efficiency, so you can spend less time focusing on logistics and more time helping your current and future customers. Schedule a free demo of Defender today!